From left to right: Saint Gertrude the Great, Venerable Cornelia Connelly, and Saint Teresa of Avila. These saints represent the importance of education. Cornelia Connelly, Mother Foundress of the Society of the Holy Child Jesus appears in her role as an educator. 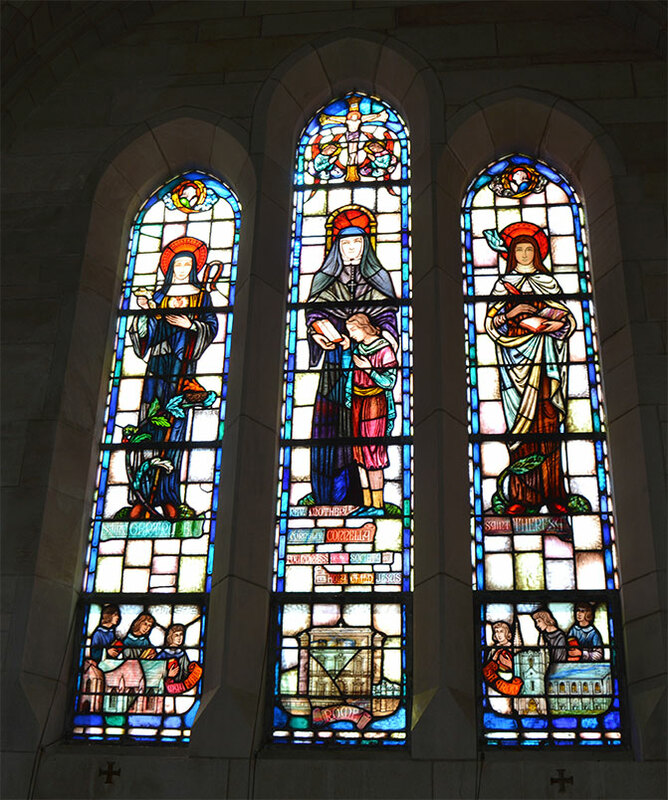 Saint Gertrude and Saint Teresa were selected for their impact on the Mother Foundress, as well as their own contributions to the Catholic faith.